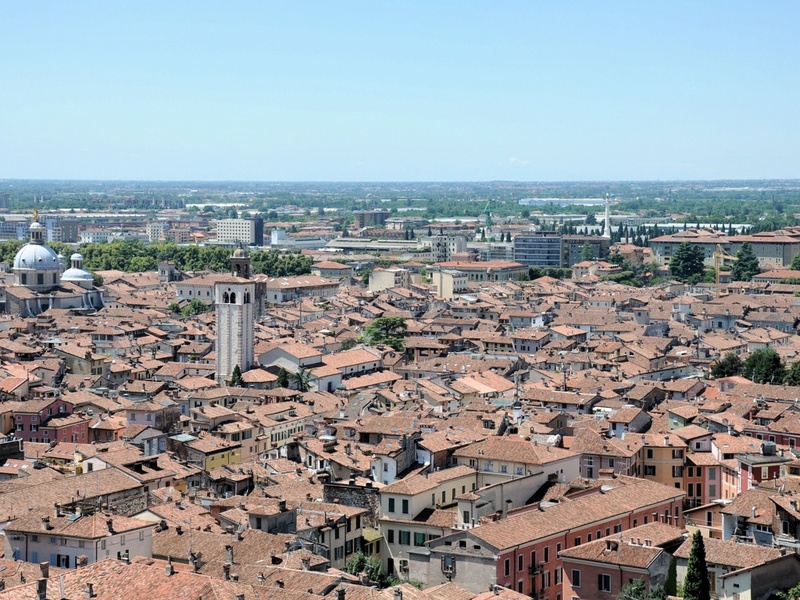 Holidays in Brescia ↔ Discover Lake Garda! 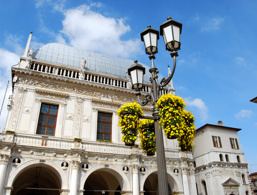 The second largest city of Lombardy entices with numerous sights and diverse entertainment. 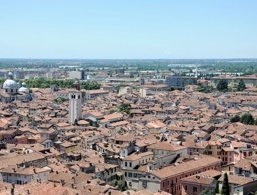 By population, Brescia is the second largest city of Lombardy. 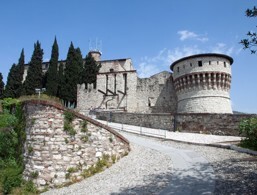 It is located in the middle of Pianura Padana at the foot of Monte Maddalena and the Cidneo hills, where you have a fantastic view of the Brescia Castle. Brescia is affectionately referred to as the lioness of Italy, following the role it played in the Italian unification era. 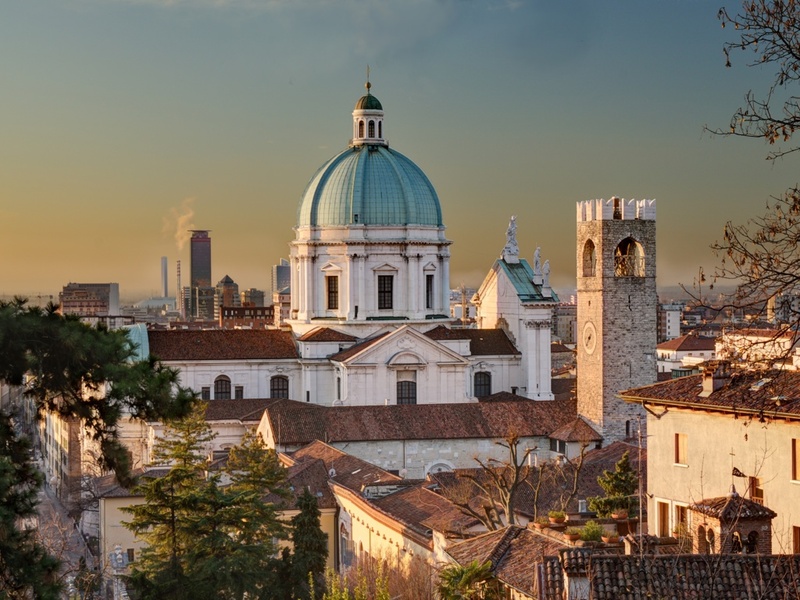 The city offers countless entertainment options, such as numerous bars, restaurants and shops but also cultural highlights such as the Piazza del Foro or the well-preserved Roman marketplace with the remains of the ancient Capitolium and the Roman Theater. 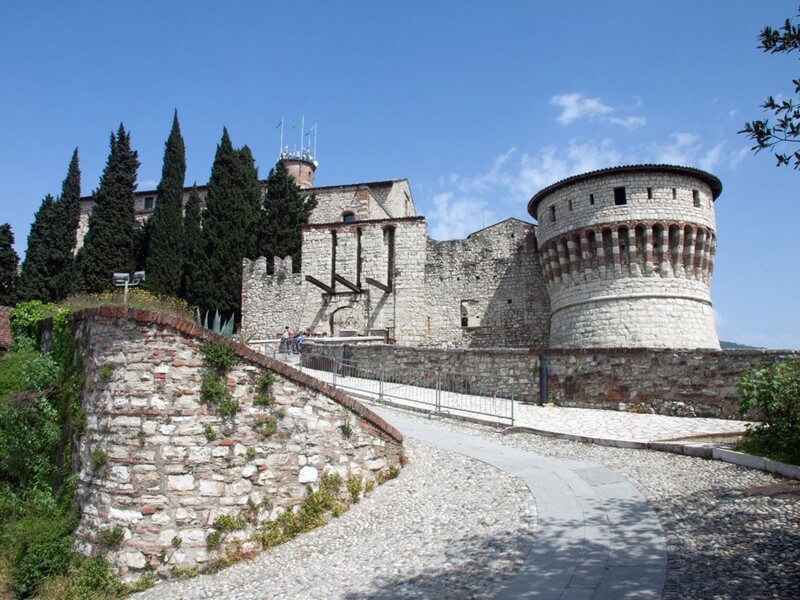 Visitors should definitely visit the Museum of Santa Giulia, the museums in the old and new dome and the castle of Brescia. 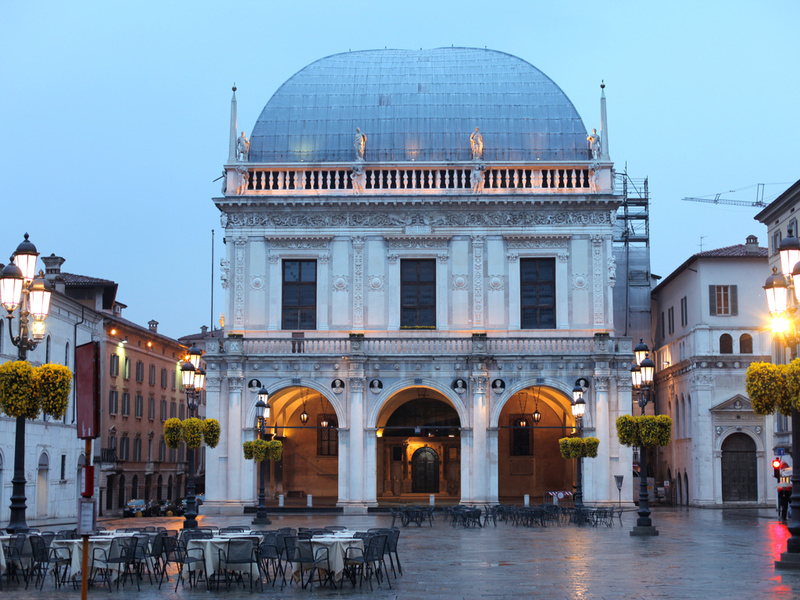 Brescia also holds many entertaining activities, various cultural initiatives, art exhibitions and sporting events that are organised throughout the year so it would be a shame to miss out on one while you are there! 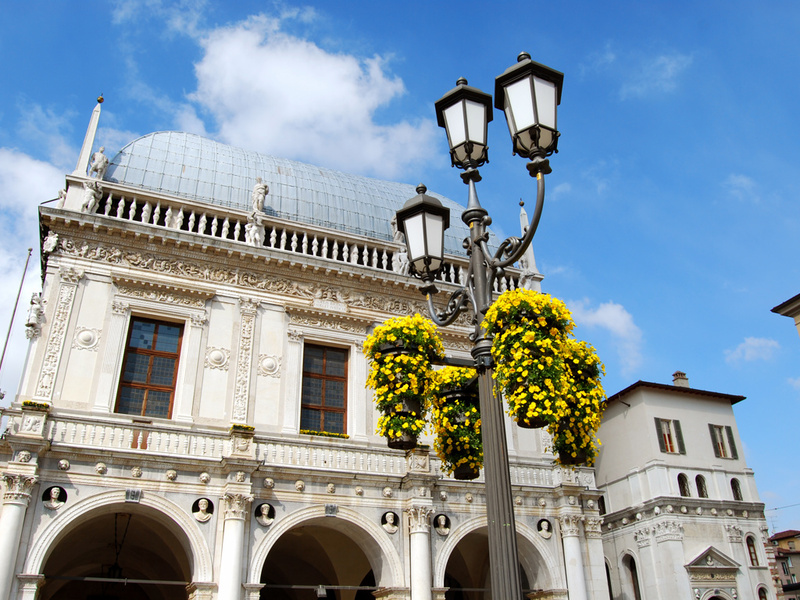 Discover the picturesque city of Brescia and surroundings. The monastery of Santa Giulia was built in 753 AD and today houses the city museum. It once housed Ermengarda, the outcast wife of Charles the Great and inside is a perfectly preserved fresco cycle by Romanino. The Church of St. Francis of Assisi, built in the Gothic style, with remarkable medieval frescoes inside and the typical rosette at the entrance. The church of Santa Maria del Carmine dates back to the 4th century. The church of Santa Maria di Miracoli, with its particularly valuable façade incorporating a bas-relief, is known not only as a place of worship but also for the Pantheon. Inside the church are the tombs of the greatest musicians in the area and the world's largest ancient organ. The cathedral is a typical rotunda building from the Romanesque era. You will still see the screens of Moretto inside as well as the tomb and the crypt of Romanino. Every year, the International Piano Festival "Arturo Benedetti Michelangeli" is held in this impressive concert hall.